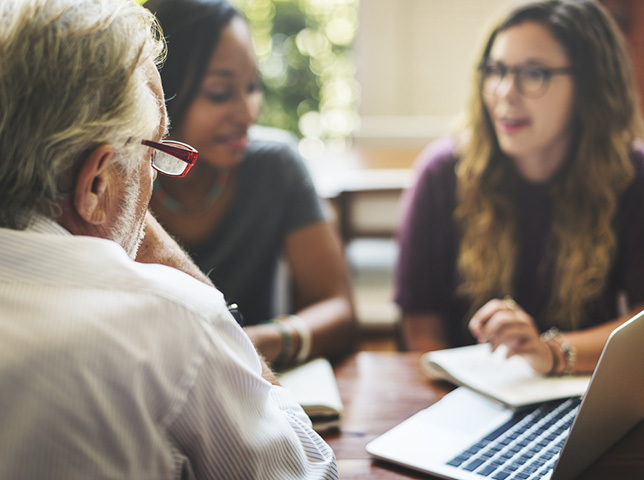 When instructional designers are involved in online course design, student-to-student interaction goes up, according to a new survey of online education leaders from Quality Matters and Eduventures Research. 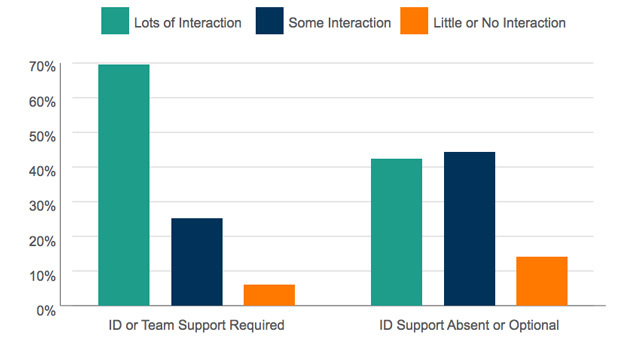 The survey compared reported student interaction levels at institutions where instructional design support is required for online course development vs. those where such support is absent or optional. Perhaps not surprisingly, respondents perceived interactivity to be significantly higher for the former. The second annual Changing Landscape of Online Education (CHLOE 2) report surveyed 182 chief online officers (COOs) at U.S. colleges and universities about policies, practices and plans around online education. Researchers defined "chief online officer" as any position that manages online education for an institution — with responsibilities spanning course and program development, training, technology selection, support and oversight, budgeting, quality assurance, planning and policy. Another benefit to instructional design support, the survey found, was greater consistency in online teaching technology and pedagogy. Generally, institutions where instructional design support is required reported less technical variation and less pedagogic diversity that institutions where faculty are allowed to design online courses on their own. Despite those benefits, only 31 percent of respondents across the board said their institutions require instructional design or team input in online course development. That figure varied widely by institution type, however. "The data indicates that faculty members are most often required to work with instructional designers and teams in course development in the largest online enrollment programs and in … for-profit programs," the report noted. "Private institutions are nearly as likely to require faculty work with instructional and technical experts. At the other end of the spectrum, instructional design support is either absent or optional at the majority of community college and four-year public programs, as well as at institutions with mid-sized online enrollments." Why not require instructional design support? The most common reasons cited were "to preserve faculty autonomy/academic freedom" and "insufficient resources." Ultimately, the report said, "Institutions must decide whether the benefits to students of consistency and adherence to design standards that implement the full potential of their learning management system (LMS) and other online tools outweigh considerations of faculty autonomy and justify greater investment in design expertise." The full report, which explores trends in the management of online education as well as the tools and techniques employed in online programs, is available on the Quality Matters site (registration required).